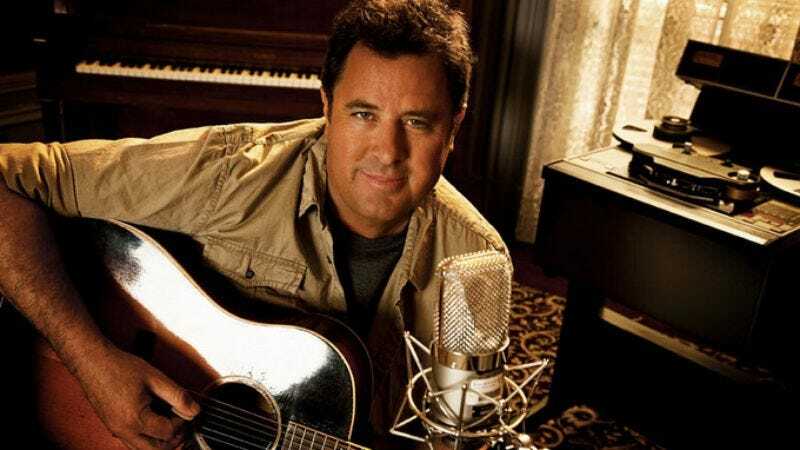 In the greatest video pairing him with Christians since that time he seduced Amy Grant, country music star Vince Gill recently confronted a group of Westboro Baptist Church protestors, using his beautiful, folksy tenor to call them dipshits. As per usual, the group was out trolling for the exact sort of attention that neither Gill nor we could resist giving them, yes, we are aware of that, protesting the singer’s concert in Kansas City on Sunday because of the fact that Gill divorced his wife and married Grant in 2000, thereby sullying the institution of marriage and whatever lingering aura of holiness was left in Grant’s Christian pop after “Baby, Baby.” A YouTube user (whose own unholiness involves not knowing how to film in landscape mode) uploaded the video of Gill confronting them. It is hilarious. The Westboro Church has since responded by celebrating Gill for making its “divorce + remarriage = adultery” quote "go viral" (a quote it attributes to Jesus, as it does so many of its idiotic assertions), before reminding everyone that “9/11 was a gift from God,” because that’s what it does.